Early this month I was thinking about jobs I could do that I might not hate. So naturally I settled on fortune-teller as an option. Why not? 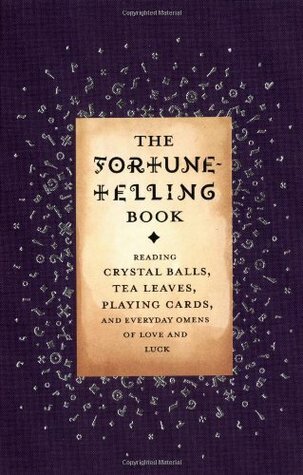 Then I thought I’d do some reading up about fortune telling so I know what I’m doing. Hence two rather random (in my reading anyway) and not entirely successful but still interesting books. This is a history book and it goes back and forth between being interesting to so dry you wonder if it’s ever going to end to semi-interesting again. If you like the subject then you may like this book. The further back in time it goes the more interesting the story plays out. Civilizations were built on the stars. Emperors (and other rules) rose and fell in conjunction with their signs and they took it very, very seriously, if they were smart. There’s also a couple of interesting stories about people reading their future right down to the day they die and being unable to avoid it in the end. Death comes for everyone after all. On schedule. I’m wilding interested in having a real reading (or casting?) but there’s no way I’d want to know that. I wouldn’t even want to know the decade. Recommend: If you like the subject and history books this is a good one to start with but if you’re not otherwise interested you’re going to find it painfully dull. There was nothing wrong with this book. It talks about some basic stuff. I was hoping for something more in-depth though and specifically for something more on tarot cards as I had found an old deck. There’s some stuff about candle magic, dice, crystal balls and tea leaves. I’ll admit I tried some of it and what it comes down to in the end I couldn’t tell the difference between what was real and what I wanted to see. When I try to see my future husband and all I see is Michael Fassbender I have to accept the fact that it’s a vision of what I want but probably not anything that’s going to come to pass. Recommend: Again, if you have an interest- though there are probably books that go deeper. I did think this would be cute as part of a gift with a crystal ball and some really nice candles or such. Is it obvious that my friends mostly get books or book themed gifts from me?